Acting Balanced: Have you heard of Lynda.com? Have you heard of Lynda.com? As a never-stay-at-home mom, I stare longingly at course catalogs from our local community college when courses like Web design and Photoshop come up, but between the kids and Wayne, there just isn't the time for me to commit to several weeks of nights out to take courses... that's why I am so excited that I've got a year to try out lynda.com! Lynda.com is an online subscription library that teaches the latest software tools and skills through high-quality instructional videos taught by recognized industry experts. With over 1,300 online courses, lynda.com is the place to find unbiased, clear, and comprehensive training in 3D + animation, audio, video, photography, graphic design, web and interactive design, business, and web/mobile/app development from expert instructors, 24/7. I've made a list of several different courses that interest me! The first one I've found that I really like is about Food and Drink Photography... you know that I rarely take pictures of my recipes... mostly because I am critical of the food and of my photography of it... so I am really trying to learn more about it! What appeals to me most is that this, and the other courses I've looked at are broken down into manageable chapters - so I can watch as little as a few minutes of it at a time or I could sit down and watch the entire course in one sitting! 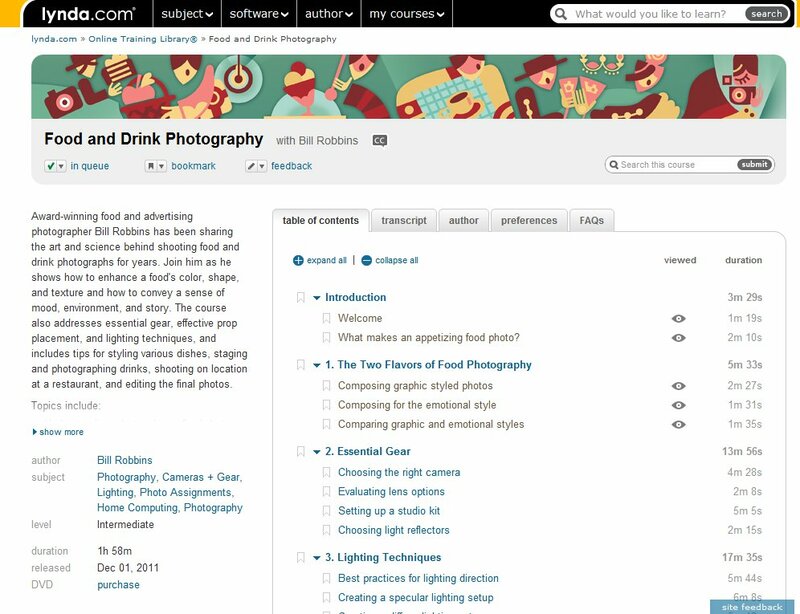 I also like that the author/narrator of the Food and Drink Photography course has been giving me suggestions for other Lynda.com courses to try out to get more information on subjects he is covering briefly! In terms of set-up Lynda.com is great because when I'm browsing for courses I have options to look by subject, by software or by author and I also have a convenient place to store the courses that I think I might like to review - all with a few clicks of my mouse! 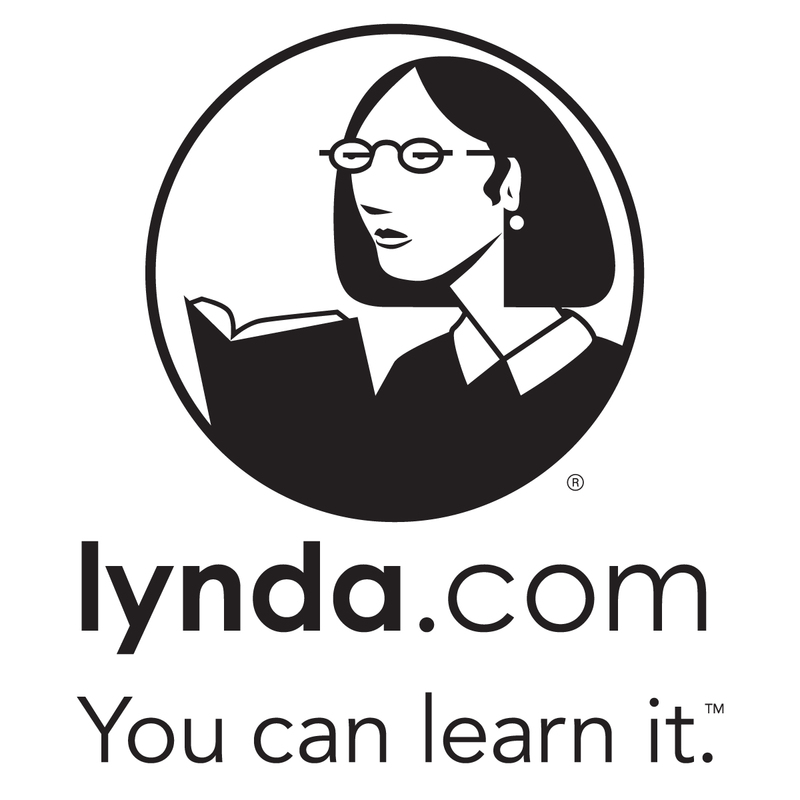 Check out lynda.com for yourself and see just how many great opportunities there are for you! Stop back in a few weeks to see how my courses have gone and enter to win your own One Year Subscription to lynda.com! Disclaimer: I received access to this product at no cost to me for the purpose of writing my review. All opinions are my own.